The sing, what a passion! 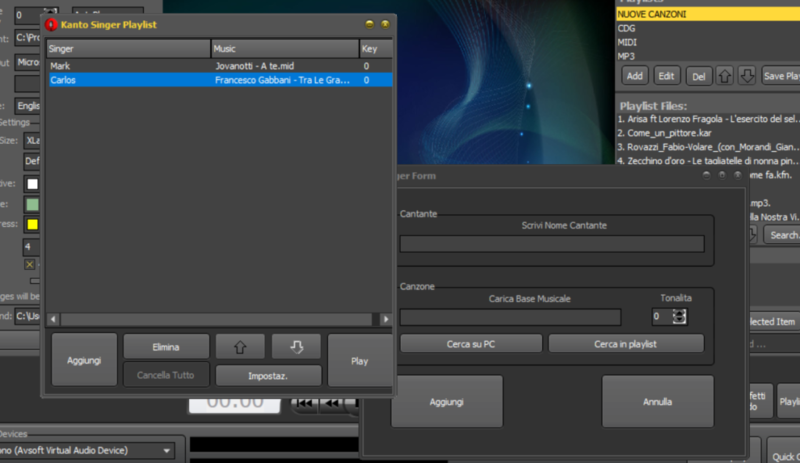 In this post we present you the best karaoke software to transform your PC or Mac OS X in a perfect Karaoke Machine! Most of the karaoke software that you can download from Internet are quite old. 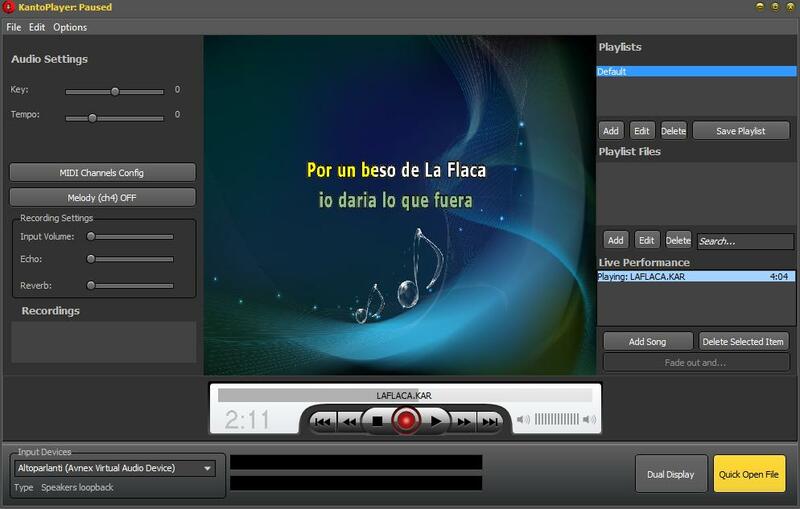 For example Vanbasco is a karaoke software very old, but it is still working and very easy to use. Kanto Karaoke is the latest and innovative karaoke software developed and designed for all users who want enjoy singing over karaoke files. 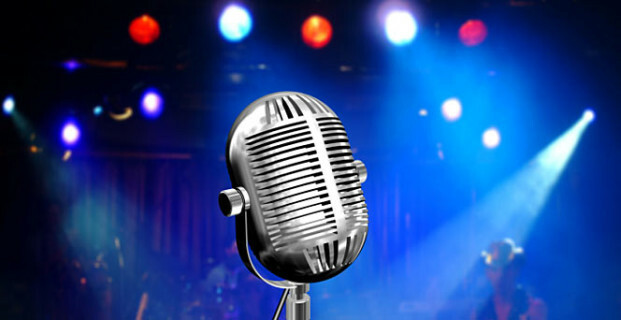 Kanto Karaoke is already defined as the best karaoke software on the market and the best alternative to the old karaoke software like Karafun and Van Basco. KANTO KARAOKE is the first Karaoke Software that support all karaoke formats: KFN (Karafun), MP3, MP3+CDG (the best and free cd+g player for PC and Mac), ZIP (MP3+CDG), KAR, MID, MP4, AVI, WMV, and so on. Thanks to “Live Performance” module (at the bottom right of the window), you can better manage your performance. In Live Performance section you can see the song currently playing and schedule the following songs. This is a a great innovation introduced by Kanto Karaoke, and we are sure that all users will appreciate it! When, during a performance, you decide to switch from one song to another one, you need to do double click on the new song and the “Crossfade” effects will help you in the smooth transition between the two songs! No more abrupt interruption! The crossfade duration is defautly set to 3000 msec. You can change this value from the menu Edit. Vanbasco, Karafun, and many other karaoke player do not allow you to record your voice over karaoke songs. Kanto Karaoke is the unique tool with a perfect karaoke recorder feature. It has been tested on Windows 10 / 8 / 7 / Vista and Windows XP. It is also available for Mac OS X systems. The recording quality is very good. With Kanto Karaoke you will be able to record your performance and create CDs with your favorite songs! 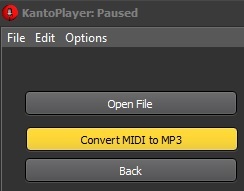 Another feature that makes Kanto Karaoke The Best Karafun and VanBasco Alternative, is the MIDI TO MP3 Module. Thanks to this, you can convert all your mid/kar files to mp3 and improve the audio quality of your karaoke files. I can NOT registrate, because when i write the letter “j” in my email adress, another windows open. Hello Jan, did you purchase the software? 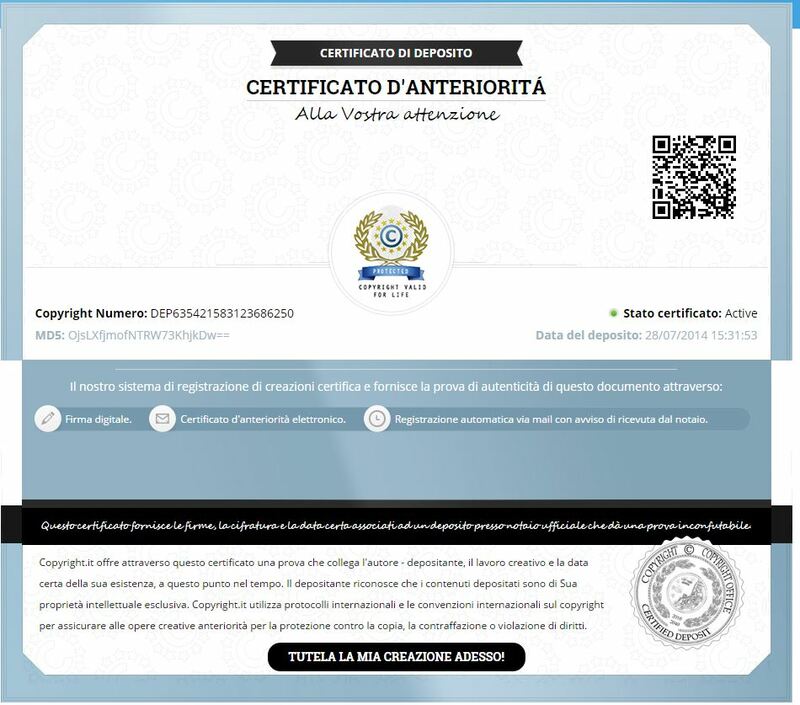 Once purchased you’ll receive the registration data via email. These registration data will not contain the letter “j” to avoid the problem you see. I use older PC + Mac. What is the system minimum required to support it so it will run correctly and smoothly? 2. Comment changé la tonalité d’un fichier avi? Comprando o pacote posso tocar meus proprios arquivos KAR? Convertendo o arquivo para mp3 , tocara com musica , letra e fundo de imagem? Posso colocar, trocar imagens de fundo? O programa suporta arquivos kar. Playing the cdg files with KantoKaraoke you will see lyrics and hear song. is there any audio selection, such as “audio 1 vs audio 2” from a karaoke file. VLC player can do this but it doesn’t have pitch change (key up/down). I load a mp.4 file by using the Load file” button. it appears in “Live performance” but as I click on the title to play it it disappear and doesn’t play anything. Then try again to play the MP4. 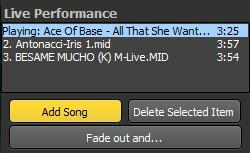 Set the crossfade value to 0 (zero). Default value is 3000ms. I bought this software many months ago but I still can’t record voice. It is keep showing error message every time I click record button. I emailed you guys and follow instructions but still doesn’t work. What can I do? Please help. Be sure you are recording on midi or mp3 or cdg files, and not on video karaoke files. Recording on video is not supported!